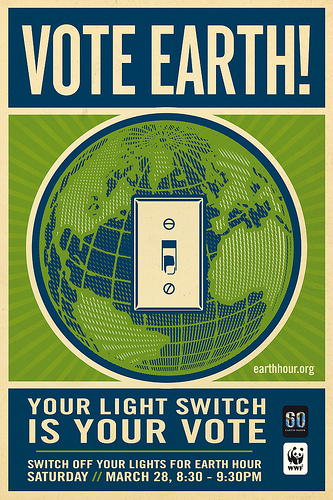 Just a reminder to turn off your lights for one hour this Saturday March 28th. Of course it's a good idea to do it any time you don't need a light but let's all do it together! From homes to businesses and even some big hotel chains, it's a worldwide event for Earth Hour .